"If you need to fall in love with reading again--or just want a reminder that high school students deserve a lot more than their reading lists give them--then this is the book for you." 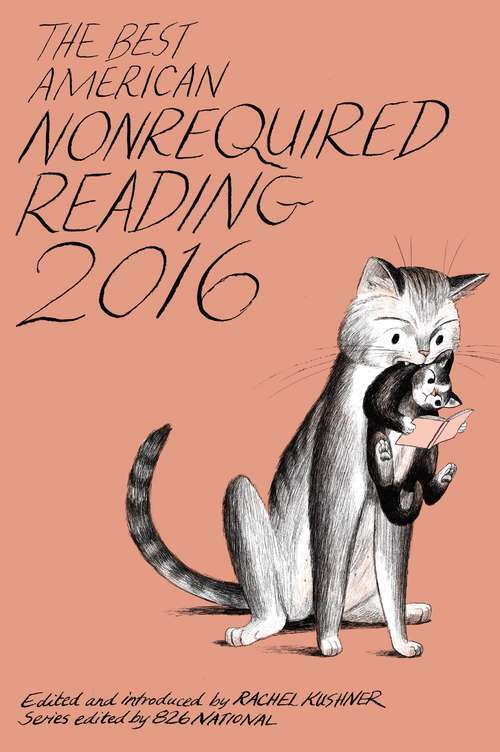 --Bust Guest editor Rachel Kushner, author of The Flamethrowers, works with a group of high school students out of 826 San Francisco to select The Best American Nonrequired Reading 2015. The BANR Committee gathers weekly in the basement of a small publishing house in San Francisco to read literary magazines, chapbooks, graphic novels, blogs, transcripts, and anything else that strikes their fancy. They are assisted by a group of 826 students that meet in the basement of a robot shop in Ann Arbor, Michigan.